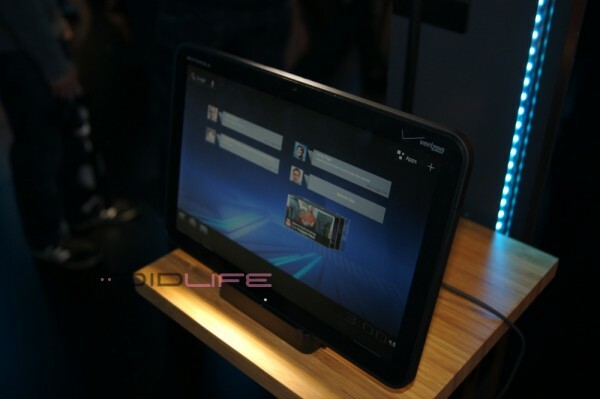 Just ran through a quick booth tour with a Motorola rep and of course, the XOOM and DROID BIONIC were the topics. I tried to get as many dirty details out of him as possible and was actually able to confirm a few things that have been mis-reported or rumored. First, he assured me that both the BIONIC and XOOM are running Tegra 2 processors. I know that there have been questions surrounding the BIONIC, but I’ve got to take his word for it. I brought up the dual-core OMAP and he basically laughed, as it’s no where near a release. I also have confirmation that the BIONIC will launch with 512MB of RAM, not the 1GB that was listed on Moto’s site. Not sure why they didn’t match the Atrix 4G, but that’s what they’ve decided on. Don’t worry though, it’ll still be one of the fastest devices on the planet. I also received additional details on the 3G/4G XOOM situation. We know that the Q1 version of the XOOM will launch as a 3G device and can be upgraded to 4G. In order to upgrade though, users will have to send in their device to Moto and they will install new hardware to bring it up to speed. Seems like a huge task, but he assured me that they’ll do whatever is necessary to bring early adopters into the 4G world. The Q2 version will launch as 4G LTE capable. And what about SD card storage on the XOOM? Well right now, the prototypes do not have an SD card slot, but that could and likely will change when it is finalized. There is 32GB on-board storage, but an option for additional space should be coming at some point. Oh, and how about another set of lovely pictures? 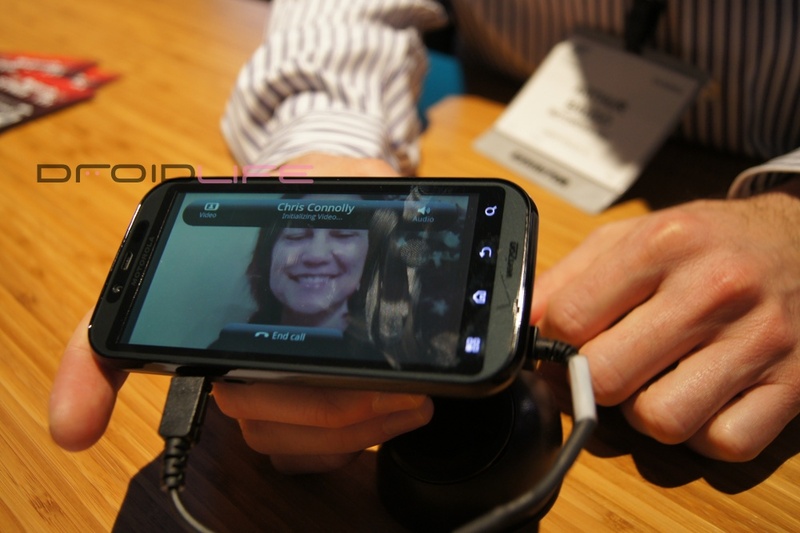 How about Skype video chatting on the BIONIC? Word is that it’ll work amazingly over 4G.